Right now we are waiting for new Archie FORREST Art to arrive at the gallery. In the meantime, here is a selection of the artist's archived art work which has featured at Red Rag Art Gallery. 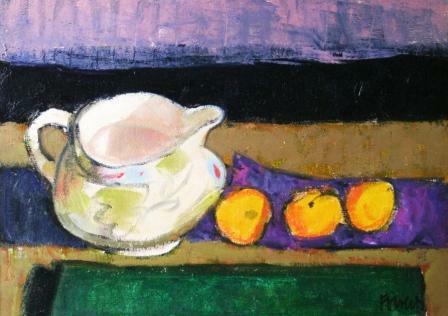 If you wish to register to receive updates and alerts when new art work from Archie FORREST arrives select this link. Archie Forrest was born in Glasgow in 1950. He studied at the Glasgow School of Art between 1969 and 1973. He then went on to teach Art at a number of Scottish Schools before taking up a position at Glasgow School of Art. 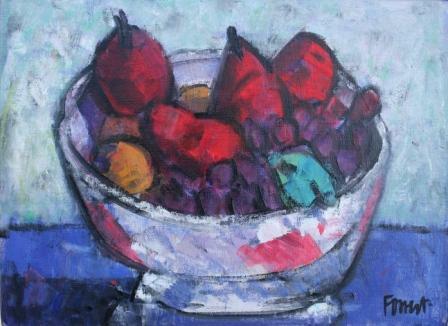 In 1985 Archie Forrest gave up teaching art to pursue a career as a full time artist. 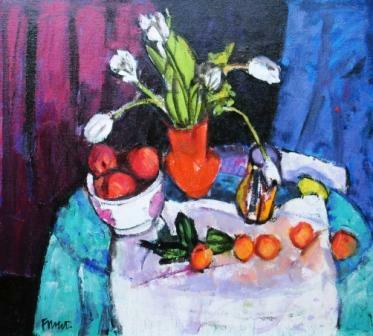 He was elected as a member of the Royal Glasgow Institute of Fine Arts in 1988. Archie Forrest is a perfectionist. 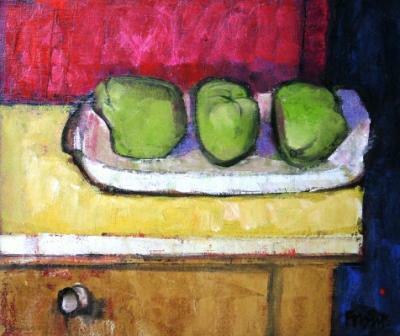 This not only reflects in his paintings but also the frames. Part of his practice is to send colour prints of paintings in progress to the framer so that he has something to create hand finishes around. This is unusual but Forrest has an overriding concern with the whole aesthetic and how each painting will finally be presented. 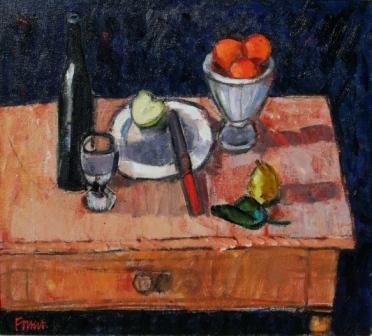 Archie Forrest creates paintings in the tradition of the Scottish Colourists. 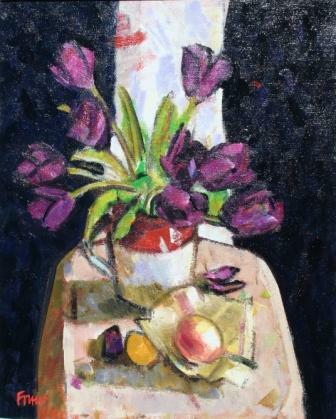 His paintings are highly sought after and appear in many private and public art collections, including The Duchess of York, Argyll Group Plc, Arthur Andersen, BBC, Glasgow Art Club, Ian Jay Associates, One Devonshire Gardens, Royal College of Physicians, Scottish Amicable, National Portrait Gallery and the Scottish Opera.